Pro Tip: "Due to some quality problems, we are discontinuing this product until it is fixed by the manufacturer. We recommend the Alpine Flea Aerosol instead. We have had really good results with this one." Due to some quality problems, we are discontinuing Precor 2625 Premise Spray until it is fixed by the manufacturer. We recommend the Alpine Flea Aerosol instead. We have had really good results with this flea aerosol. In summary, Precor 2625 provides a quick knockdown, long residual activity, and an insect growth regulator to disrupt the life cycle of insects such as fleas and bed bugs with its combination of active ingredients. Precor 2625 is a broad spectrum insecticide that kills fleas, carpenter ants, bed bugs, cockroaches, crickets, spiders, and other listed pests. It may be used as a surface, spot, crack and crevice, or void treatment, for inside and outside use. It has a 360-degree valve that allows both inverted and upright applications. Due to some quality problems, we are discontinuing this product until it is fixed by the manufacturer. We recommend the Alpine Flea Aerosol instead. We have had really good results with this one. Buildings and Structures Including Residential Homes, Apartments, Garages, Kennels, Non- Food/Feed Areas of Hotels, Motels, Commercial, Industrial, or Office Buildings. Also on Pet Bedding, Furniture and Other Inanimate Objects Infested with Fleas. Indoors: When spraying Precor 2625, point nozzle away from you to spray. Can be used as a surface or spot, crack and crevice, or void treatment. For application as a crack and crevice spray, spray at a rate of 2 seconds per linear foot. For use as a spot spray, treat surface until slightly wet. The 360º valve allows the product to be sprayed upright or upside down to facilitate applications. Do not repeat treatments more than every 14 days. Flea Infestations: For Flea Infestations, Precor 2625 treats 2625 sq ft. To treat carpet and other areas of suspected flea infestation, hold container upside down 2-3 feet from the surface, point actuator towards the surface and push button. Using a sweeping motion, apply a light uniform spray to all surfaces of furniture, rugs, carpets, drapes, and on and around all pet resting areas. Apply Precor 2625 to such flea infested areas, as under edges of rugs and carpets, floor coverings, pet resting quarters, pet beds, cracks and crevices nearby, between and under cushions of upholstered furniture and other surface areas where fleas may be present. 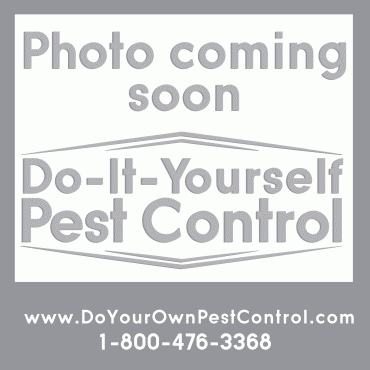 A light misting is all that is required to control fleas and flea larvae. Use care when applying to hardwood floors and only use a light misting to those areas. Reapply in 14 days, if necessary. IMPORTANT: Keep people and pets out of areas during treatment. Do not apply directly to pets or animals. Vacate room after treatment, and ventilate until surfaces are dry before reoccupying. To eliminate fleas/ ticks on your pets, use only products approved for such uses. Hammer of Death against fleas. A feral cat had infested out back porch with fleas which eventually found their way inside and made themselvs at home in two rooms..
After the first application, the infestation got reduced to almost nothing. I played it safe and gave the pther rooms a touch of Precor to be in the safe side. I had relatives with an 8 month old coming to stay with us for a few days. I tried products from Tractor Supply, to our local Feed and Seed to Walmart and spent way too much money chemicals that wouldn’t do the job! When I saw the video on this website, and all the top reviews from people with the same problem, I had to try it! I have a 2600 sq foot carpeted house. I bought 3 cans because I knew I had to really after 14 days. Wowza! FLEAS ARE GONE! Incredible! I HIGHLY recommend this product for carpeted (and tile) flea infestation. Easy to apply, quick to dry and little to no smell. Used it for a large Flea infestation in an empty house. Used one can and three weeks later no Fleas. This repellent is great! But careful... They will migrate so use it wisely and efficiently. I highly recommend in lieu of expensive exterminators. Every year we go through "The Flea Season" and every year we spend a small fortune at HD trying to find the product that really work. Don't waste your money because this is it. Just follow the direction and you will find it really work great.